No matter where we went in Seattle, the Space Needle would sneak into our view. Between two buildings, or peeking though a patch of trees, we could always use it to get a sense of where we were. It served as a giant compass, leading us back downtown. 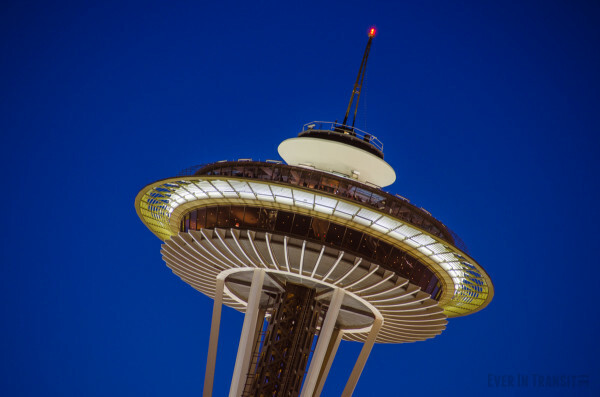 I took a lot of photos of it, but this photo of the Space Needle at night is my favorite as it shows the details of the mid-century, space-age design that you can’t see with your naked eye. It really does look like a flying saucer!